Making a deep relationship needs lots of efforts and time. Ultimately you cannot afford to spend time for all to develop a deep relationship. Those friends will just see you as a friend to hang out, but not a best friend. 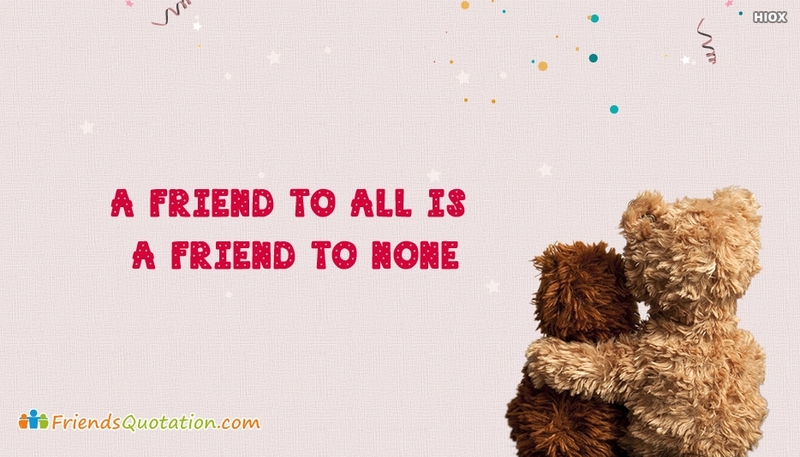 That is why "A friend to all is a friend to none". Download and share this fact in the social networks to make your friends aware of it.